Where can you stream The Curse of Oak Island? 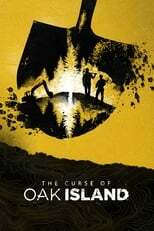 On 2014-01-05 Mystery/Documentary TV Series The Curse of Oak Island first aired on History. Written and created by Kevin Burns, and produced by Prometheus Entertainment, The Curse of Oak Island will return and was last broadcasted on 2019-04-16.